A lot has happened in the 6 months since The Medical Innovators Collaborative (The MEDIC) won a Catalysts for Innovation Award and moved into their office space at The Frontier. We recently sat down with co-founders Andy Taylor and Tim Martin to hear what they’ve been up to. Martin and Taylor also spoke of the recent trip the MEDIC team made to Guatemala this winter to test a neonatal filtered sunlight phototherapy prototype they’ve built called the BiliSol. Currently, newborns with high billirubin levels have to sit under blue-light phototherapy devices that cost thousands of dollars and require constant electricity. MEDIC collaborated with Taylor’s senior design team, NeoTech Global, from the UNC/NC State Department of Biomedical Engineering who have developed a solar UV filter, requiring no electricity, that low-income, rural areas can use. In Guatemala, they’ve found a great testing spot. 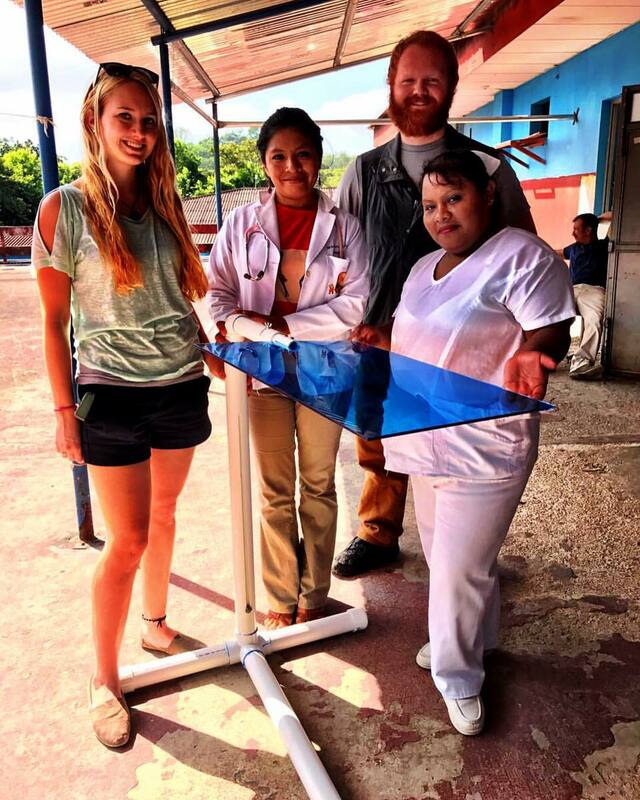 Lauren Chisholm, a Global Acquisition Inside Sales Representative at Lenovo and member of the NeoTech Global team, traveled with Taylor to deliver two functional prototypes to the San Benito National Hospital and Hospital Shalom in the Peten province of Guatemala. The doctors at these two hospitals will be able to test out the devices and provide some initial feedback. This trip was made possible thanks to Project Ix-Canaan, an organization based in El Remate, Guatemala that is dedicated to empowering their community, who helped the team establish communication with the local hospitals and coordinate transportation and lodging. In addition, thanks to Lenovo’s philanthropy, Chisholm was able to deliver a large suitcase full of baby formula, cloth diapers, and medicine to Ix-Canaan’s local clinic. Other projects in the works include a wheelchair prototype for late stage Alzheimer’s patients, a tension therapy system for Arthrogryposis Multiplex Congenita (AMC) patients, and a simulation system for chest tube insertion in neonatal patients. In addition to these partnerships and projects, The MEDIC has established a Board of Directors and received nonprofit 501(c)(3) status. They’ve also hosted several quarterly Professional Forums where they bring together the medical industry and university researchers for large networking and knowledge-sharing and hosted Fireside Chats which are more intimate deeper dive discussions around specific innovative medical topics. 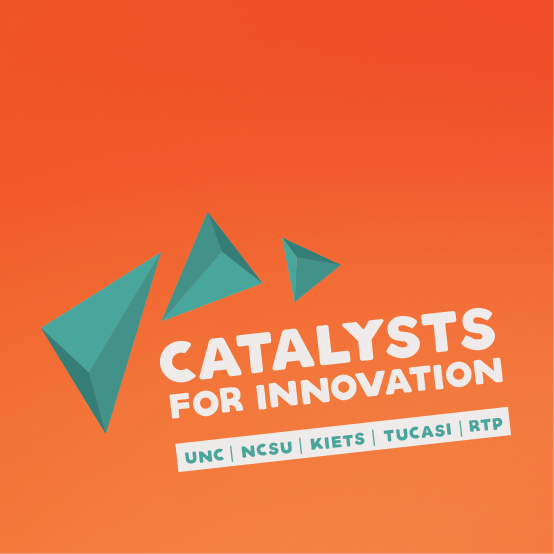 They have also launched an Innovation Bootcamp with the Triangle Global Health Consortium that unites students & global health professionals to solve real global health issues. Stay abreast of future MEDIC events on their website here.